Now through April 1, 2018 • Fri. & Sat. 7:30 p.m./Sun. 3 p.m.
“Just saw Two Trains Running at PassinArt and wow! Great work- people please support this wonderful group of artists and this brilliant play by the late great August Wilson- one of the top ten best playwrights in American history.... Don't miss it!” — Brenda H.
“...so impressed with huge talent on that small stage. I've offered tickets to my colleagues” — Beth H.
“When we walked in we were impressed by the beautiful set which was only the beginning of a magnificent presentation. We have seen this before and knew what to expect. 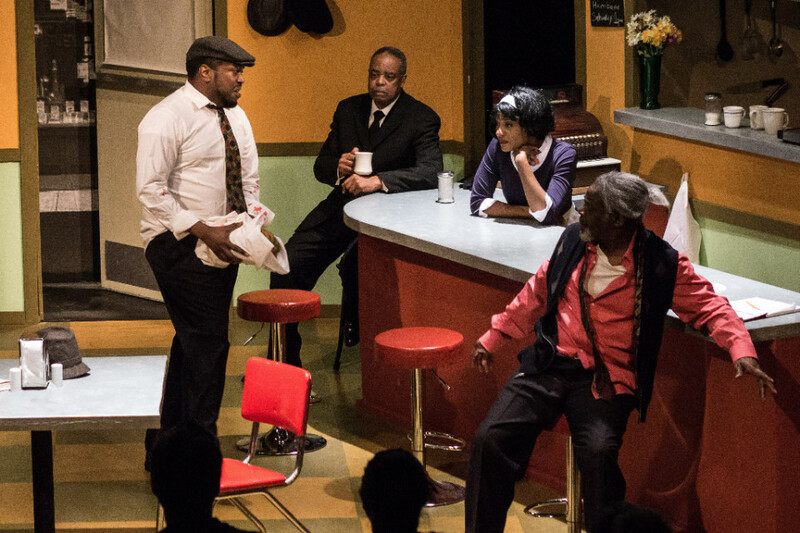 However, this gut wrenching story of the 60's life in black Pittsburgh's Hill District, was the best we have seen... Go and see this because you won't have a better opportunity to see this powerful piece.” — Leonard M.
Read Bob Hick's full review. This event is sponsored by Ronni Lacroute, MRG Foundation, The Collins Foundation and Prosper Portland. "Two Trains Running" is presented by special arrangement with SAMUEL FRENCH, INC.
PassinArt: A Theatre Company is an African American producing theatre company whose mission is to entertain, educate, and inspire artists and audiences while addressing critical issues facing our community; and to celebrate our history and culture. This season's productions are funded in part by Ronni LaCroute. Copyright © 2018 PassinArt: A Theatre Company, All rights reserved.